– number of objects and total surface– information. 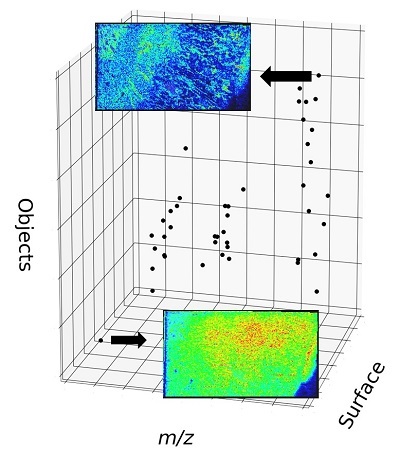 The morphometric information was used to identify m/z that have a heterogeneous distribution. It seems to be a worthwhile pursuit as clonal heterogeneity in a tumor is of clinical relevance. This study provides a new approach to find biomarker or support tissue classification with more information.